The name of the Vesper One Cool Black Bibshort is based on its minimalist construction. It is made out of a minimal amount of preformed Cold Black fabric panels, resulting in a bibhort with the minimal amount of seams possible. The Polyester-Mesh inner layer of the fabric immediately leads the perspiration to the Cold Black outer layer. Cold Black, is a recent development from our technology partner Schoeller. It’s woven in a way that it works as a sun reflector. Next to that, it protects against harmful UV radiation (factor 50). This way, your upper body stays cool and protected, even in the sunniest circumstances. 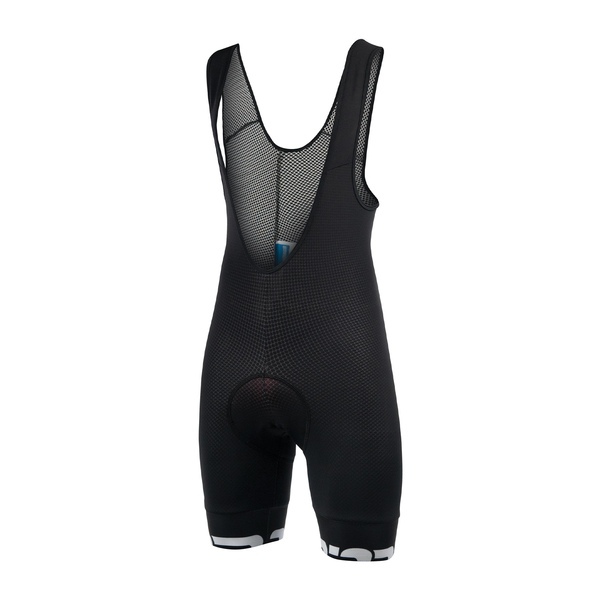 Thanks to the raised back section, this Vesper One Cool Black Bibshort also has the same properties of a technical undershirt. Consequently, this regulates the sweat absorption and, if desired, makes undergarments unnecessary. 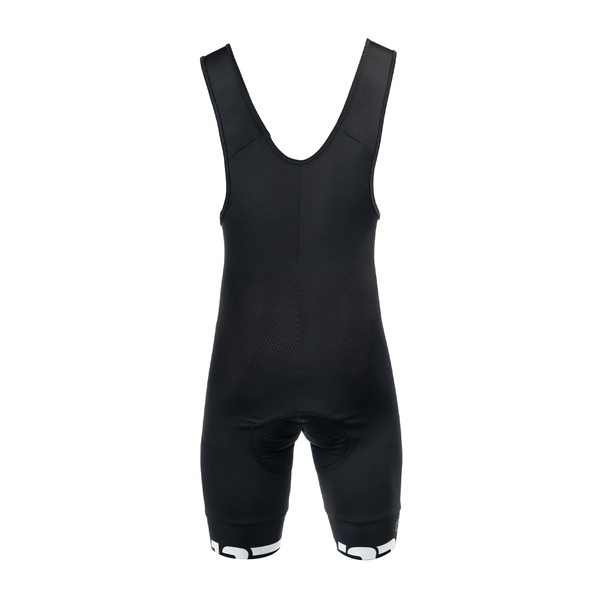 Bibshort made from one piece of fabric with integrated braces. Manufactured from a polyester mesh inner layer and a “cold black” polyamide outer layer.